Fresh baked cookies every day made from scratch. 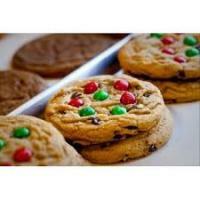 Baked daily at 9,600 ft. MOUNTAIN TOP COOKIE SHOP proudly servers over 50 cookies varieties. Click here for more information! Buy 4, get 1 free of equal or lesser value. Not valid with any other offers or deals!